The results of Iraq’s parliamentary election have surprised many observers, with a coalition dominated by Muqtada al-Sadr securing the largest number of seats. Understanding the role the Sadrists are likely to play in a new Iraqi government requires a grasp of their evolution. Iraq’s 12 May federal parliamentary election was surprising, not only because of unexpectedly low participation rates but also because of the results. Disillusionment with the country’s political status quo was reflected in the low participation rate, which also demonstrates the difficulties of holding an election when more than two million people remain displaced by conflict. Prime Minister Haider al-Abadi’s electoral list, Nasr, won only 42 seats in the 329 seat parliament and ranked third behind the 48 seats won by Fatah, a bloc representing the political aspirations of paramilitary leaders. Sairoon, a coalition of Islamists, the Iraqi Communist Party, and independents – and whose patron is Muqtada al-Sadr – secured 54 seats. No single bloc holds a majority so a coalition is needed to form government. Sairoon, now occupying an advantageous parliamentary position, is dominated by al-Sadr’s party. However, characterisations of al-Sadr as “Iraq’s new hardline leader” are misleading: he did not run for a seat in parliament and will not hold executive office. What this means for Sadrist influence in Iraqi politics depends on the role Sairoon plays in the new parliament – either as part of a governing coalition or in opposition – and its influence on policy, both on domestic issues like corruption and employment and in international affairs. Muqtada al-Sadr is the contemporary face of a family of Shi’a scholars well known for both religious teachings and political activism. He derives political legitimacy from his forebears who established a mass movement of the poor and died for their opposition to repression. Iraqis who identify with the family and its legacy – “Sadrists” – tend to have an intimate familiarity with their lives, teachings, and tragic deaths. Al-Sadr is the patron of an informal network with social, political, religious, and paramilitary elements. It is dynamic, able to be reconfigured and reframed in response to changes in its political environment. During the Saddam Hussein years, Sadrists assembled mass religious gatherings as an act of defiance. In 2003, when the US-led coalition invaded and occupied Iraq, Muqtada al-Sadr mobilised an insurgent paramilitary which later degenerated into predatory violence and criminality. 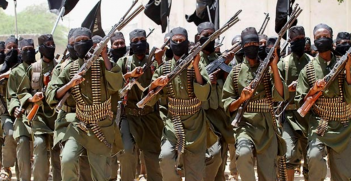 Demobilising its armed group, the Sadrists then shifted focus to parliamentary politics and street activism. In 2014, Sadrists again took up arms to join the national fight against the Daesh terrorist group (or “Islamic State”). The Sadrist network’s adaptability and pragmatism underpins its latest shift in approach. While mass demonstrations have long been a feature of its political activity, since the Arab Spring – and especially since mass protests in 2015 demanding basic services – the Sadrist network has intensified its use of nonviolent protest and deepened its engagement with civil society, thereby creating the organisational roots and political objectives of Sairoon. For several years, regular anti-corruption protests in Baghdad and other cities have been jointly attended by Sadrists and a range of smaller civil society groups, some of which have their political origins in the Iraqi Communist Party. Joint attendance fostered joint organising. Acknowledging common political goals, and building on earlier interaction between Sadrists and civil society, the joint protest movement began discussing the potential of a political alliance. While not without setbacks and internal dissent, this process was assisted by a resonant anti-corruption discourse and the formation of committees to organise protests and share information. An escalating protest campaign peaked in April 2016. To express frustration with the slow pace of promised reforms, protesters staged a sit-in outside Baghdad’s secure Green Zone. Following a theatrical performance by al-Sadr, protesters scaled the walls and symbolically occupied their own parliament. For some, this cemented the Sadrists’ credentials as committed reformers with the power to challenge a corrupt political system. For critics, it exposed the hypocrisy of the supposedly anti-corruption Sadrists whose own members of parliament were themselves corrupt, and demonstrated thuggery and contempt for the rule of law. For some time, it appeared that the conservative and Islamist Sadrists would never form a political coalition with largely liberal and secular civil society groups. Yet through the joint protest movement, debates and workshops, and the continued refinement of Sadrist political messaging, differences gradually eased, paving the way for Sairoon. Its political program reflects the protesters’ demands: rebuilding the state and its public services, working toward social justice and fighting corruption. A place for Sairoon in the new government is likely but not guaranteed. Its next challenge is to repeat its civil society alliance-building efforts in the national political arena. Al-Sadr has begun meeting leaders from other blocs including Prime Minister al-Abadi. Sairoon will likely consider partnering with al-Abadi’s bloc; even when protesters stood outside the Green Zone, their demands were framed as an expression of support for – not opposition to – al-Abadi’s proposed reforms. 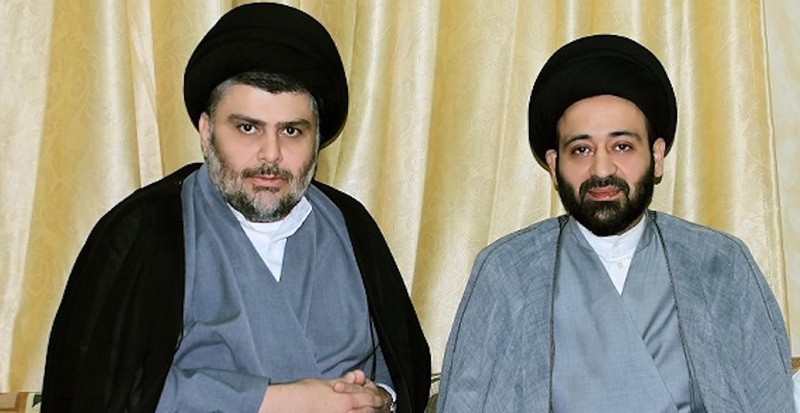 Tense relations with key paramilitary leaders within Fatah, considered proxies for Iranian interests, reflect Sadrist opposition to foreign influence. The Sadrists will be wary of allowing those figures to deepen their influence on the state, particularly through ministerial appointments. The Sadrists’ civil society allies will oppose partnering with Fatah. Indeed, Sairoon might prefer to go into opposition than join a ruling coalition to which Fatah is a partner. The actions of smaller blocs will also impact the shape of the new government and there are many discussions to come. The composition of the new government will influence Sairoon’s ability to deliver its ambitious political program and satisfy its supporters, who expect it to achieve promised political and economic reforms. Past government reform programs have become highly politicised and face resistance from parliamentarians. Coalition-building is set to be a permanent challenge, whether in government or opposition. Internationally, regional and global powers will keenly assess the degree to which al-Sadr’s parliamentary influence could harm their interests and gauge whether his recent statesmanlike behaviour can temper his formerly uncompromising opposition to any foreign interference in Iraq. Through years of careful political framing and alliance building, Muqtada al-Sadr is today the patron of a parliamentary coalition likely to form part of the Iraqi government and put forward nominees for the country’s executive positions. Challenges will remain even if Sairoon can secure a position in the new government. For their many Iraqi critics, al-Sadr and Sairoon must address a severe trust deficit and live up to the principles they advocate. Sairoon parliamentarians also need to satisfy their supporters, who now expect dramatic political reform. At the same time, al-Sadr will need to convince foreign powers that Sairoon’s Iraqi nationalism is not a danger to their interests in Iraq or the region. The Sadrist network’s political strategy adapts to changes in its environment; today it emphasises participation in formal politics. Yet while the strategy may change, the objective remains constant: an enduring influence on Iraqi society and politics. When the dust settles and a new Iraqi government is formed, it remains to be seen whether the electoral achievements of Sairoon have brought the Sadrists a step closer to realising this goal. Damian Doyle is a PhD scholar at the Centre for Arab and Islamic Studies at the Australian National University. His research is focused on social movements and contentious politics in Iraq. He tweets from @toaf. This article is published under a Creative Commons Licence and can be republished with attribution. On 11 August 1988, the members of what became al-Qaeda met in Peshawar and changed the course of the 21st century. Even though its profile is lower now, there is much below the horizon. 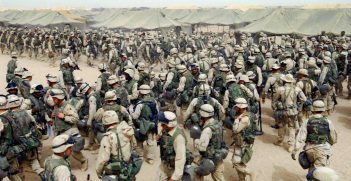 Fifteen years ago, a United States-led 'Coalition of the Willing' invaded Iraq on spurious pretexts. Toppling the Ba’athist regime of Saddam Hussein unleashed violent forces that have ravaged the country ever since. 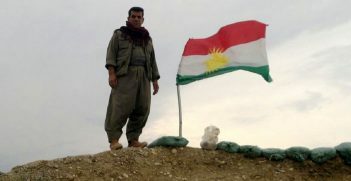 As the Kurdish population of northern Iraq takes part in a referendum for independence, Australia must consider where it stands and what policy options to take.